The global seed coating materials market is projected to grow from USD 1.13 billion in 2015 to USD 1.63 billion by 2020, at a CAGR of 7.6% from 2015 to 2020. The growing demand for an increase in the agricultural output has led farmers and agricultural experts to innovate and implement new techniques in the agriculture sector with optimum resources and changing climatic conditions. This has led to a rise in the demand for seed coating materials, which enhances crop productivity and sustains product quality in undesirable conditions. The base year considered for the study is 2014, and the forecast has been provided for the period between 2015 and 2020. Technological advancements in seed coating market have benefitted sustainable crop production. Growing demand for increased agricultural output has encouraged the commercial use of innovative seed technologies. In addition, the increasing trend of commercial application of seed technologies by specialist applicators or seed companies is projected to contribute toward the market growth. High-value seeds require complex technology solutions and are used by commercial applicators. During this research study, major players operating in the seed coating materials market in various regions were identified, and their offerings, regional presence, and distribution channels were analyzed through in-depth discussions. Top-down and bottom-up approaches were used to determine the overall market size. Sizes of the other individual markets were estimated using the percentage splits obtained through secondary sources, such as Hoovers, Bloomberg BusinessWeek, and Factiva, along with primary respondents. The entire procedure includes the study of the annual and financial reports of the top market players and extensive interviews with industry experts, such as CEOs, VPs, directors, and marketing executives for key insights (both qualitative and quantitative) pertaining to the market. The figure below shows the breakdown of the primaries on the basis of the company type, designation, and region considered during the research study. 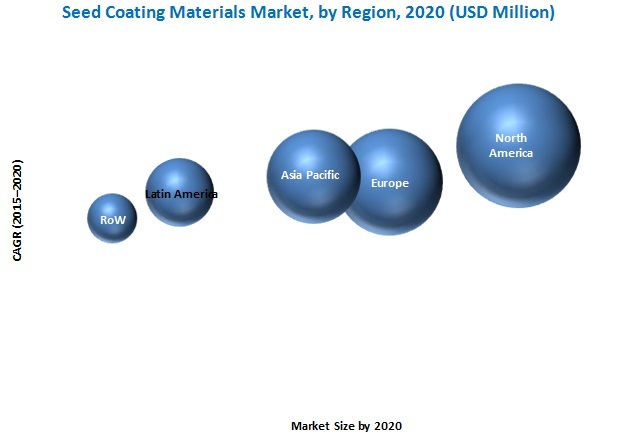 The seed coating materials market comprises a network of players involved in the research and product development, raw material supply, component manufacturing, distribution and sale, and post-sales services. 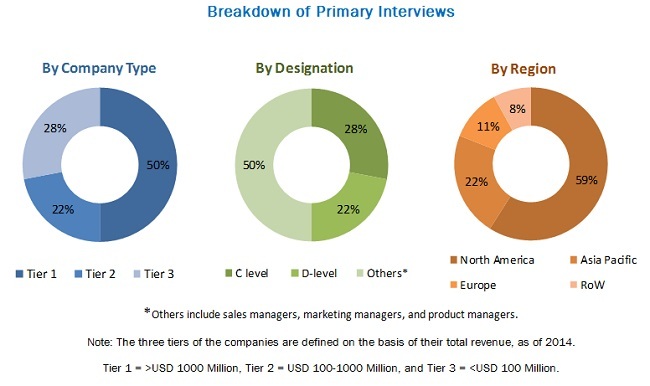 Key players considered in the analysis of the seed coating materials market are BASF SE (Germany), Bayer CropScience AG (Germany), Clariant AG (Switzerland), Croda International PLC (UK), and Platform Specialty Products Corporation (US). In December 2015, INCOTEC Group BV (the Netherlands) opened its second facility in Tianjin City (China). The new facility will concentrate on the production of INCOTEC’s film coats for vegetable and field crops seeds for the Chinese seed market. In October 2015, Clariant AG (Switzerland) opened a regional innovation center (RIC) in India. This new facility focuses on research in chemical research and application development. It will benefit the company in identifying and developing new chemical uses in seed treatment and other chemical applications. In September 2015, Germains Seed Technology Inc. (UK) introduced ProBio gopure, a new organic process that removes bacterial seed-borne pathogens from Swiss chard, beet, and coriander seeds. In May 2015, BrettYoung Seeds Limited (Canada) acquired Master’s Turf Supply Ltd. (Canada). This helped the company in expanding its business by offering high-performance products and innovative solutions to its customers. In March 2014, Bayer CropScience AG (Germany) cooperated with Dafeng Seed Industry (China), which introduced a premium seed coating formulation known as Gauqiao + Dingmiaoxin + Raxil, aiming to further enhance the capacity and disease resistance of its “Dafeng 30” corn seed. What are types in which the seed coating manufacturers are exploring? The global seed coating materials market is projected to grow from USD 1.13 billion in 2015 to USD 1.63 billion by 2020, at a CAGR of 7.6% from 2015 to 2020. The growth of the seed coating materials market is primarily attributed to increasing population and increasing demand for food supply, rising technological advancement in the agricultural industry, and the introduction of innovative seed technologies globally, leading to increased use of seed coating materials. The market is further driven by factors such as growing awareness of commercial usage of seeds leading to an increased value of seed coating materials. The seed coating materials market is segmented, on the basis of type, into polymers, colorants, pellets, minerals/pumice, and others (wetting and dispersing agents, anti-foaming agents, thickeners, and solvents). Among all seed coating materials, the polymers segment accounted for the largest market share, followed by pellets and colorants. Polymers are used on a large scale due to their functional qualities of improving the nutritive value of the seeds, helping in the application of biological seed protectants to seeds, and enhancing the appearance of the seeds. Depending upon crop types, the global market is led by the cereals & grains segment, followed by the fruits & vegetables and flowers & ornamentals segments. Cereals & grains is also the fastest growing crop type in the seed coating materials market. The trend of using coated seeds is rising on a large-scale in regions where there are extensive production and cultivation of cereals, grains, fruits, and vegetables, leading to growing market for seed coating materials for the mentioned crop types. North America accounted for the largest share in the seed coating materials market, followed by Europe and the Asia Pacific. Increasing awareness about the benefits of seed coating materials among farmers is leading to the growth of the market in this region. The usage of seed coating materials can be treated as a risk-hedging technique and can be considered a safe investment, which has led to an increased sales of coated seeds in the North American market. The seed coating materials market in the Asia Pacific region is projected to grow with investments from several multinational manufacturers, especially in countries such as China, India, and Japan. Growing demand for increased agricultural output has paved the way for commercial use of innovative seed technologies. Cereals & grains form the key segment for the seed coating materials market as they witness a significant demand in all the regions. Growing environmental degradation and increasing population is reducing the productive land under cultivation, giving rise to the development of seed-based solutions to sustain the ever-increasing demand for such cereals and grains. Seed coating materials improve the quality of the seeds of cereals & grains, giving them a smooth surface, reducing the unwanted exposure to dust, and helping to improve the planting accuracy and appearance of the seeds. These seeds help increase the crop yield and reduce the maintenance cost of the end product. The consumption of fruits has witnessed a double-digit increase from 1980 to 2005, and the same is likely to increase over the coming years. The high export potential for fruits & vegetables has also led to an increase in production levels. These factors have led to an increasing demand for seed treatment products for efficient usage of agrochemicals to meet the export quality standards. The seed coating materials find application in vegetable seeds of carrot, onion, leek, sugar beet, lettuce, celery, and turnip. The demand for flowers and ornamentals is increasing due to their growing use for decorative purposes and landscape designing. Cultivation of flowers and ornamentals require continuous care and special attention, leading to an increasing demand for good quality seeds and treated seeds for better output. Also, several vital ornamental plants are not capable of producing viable seeds; even if they are propagated by seeds, various problems such as inbreeding depression and non-homogeneity of cultivars continue to persist. Oilseeds and pulses form a staple diet for millions in developing countries where it is grown abundantly. Also, regions that do not cultivate oilseeds and pulses traditionally have started cultivating due to their increasing importance as cash crops. The key oilseed crops with enhanced aesthetics include cotton, canola, rapeseed, and sunflower. In the pulses category, major ones are greengram, blackgram, cowpea, soybean, redgram, and horsegram. The growing demand for oilseeds and pulses has paved the way for innovative techniques to increase the yield of oilseeds and pulses. Farmers are focusing on getting good-quality seeds to increase the yield of such plants. Seed coating act as an important technique to improve the quality and performance of seeds. 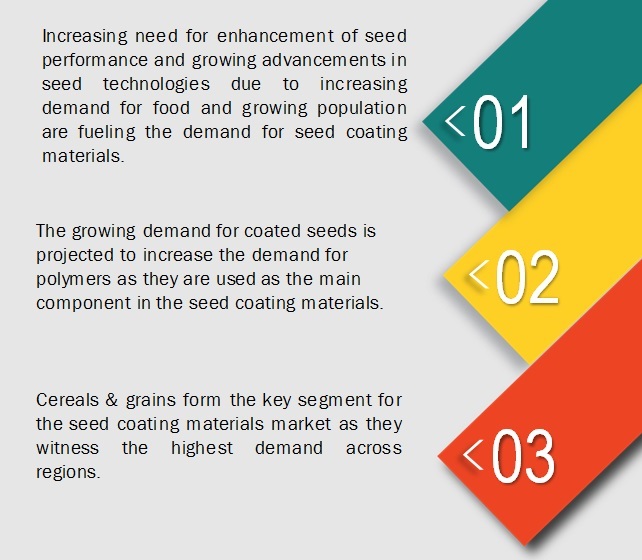 Due to these factors, the seed coating materials have a wide application in the oilseeds & pulses segment. What are the upcoming types for seed coating materials? Stringent regulations for coating materials and increasing cost of raw materials are making it difficult for the manufacturers to manage production costs affecting the final price of seed coating materials in the market. Key players identified in the market include BASF SE (Germany), Bayer CropScience AG (Germany), Clariant AG (Switzerland), Croda International PLC (UK), and Platform Specialty Products Corporation (US). These players are focusing on undertaking new product launches, collaborations, and acquisitions. 11.11 Germains Seed Technology Inc.